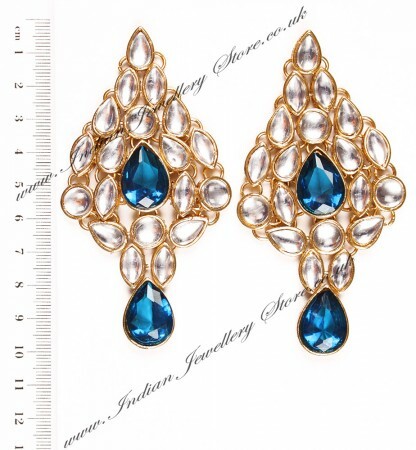 Indian chandelier earrings in light gold colour and dark royal blue. 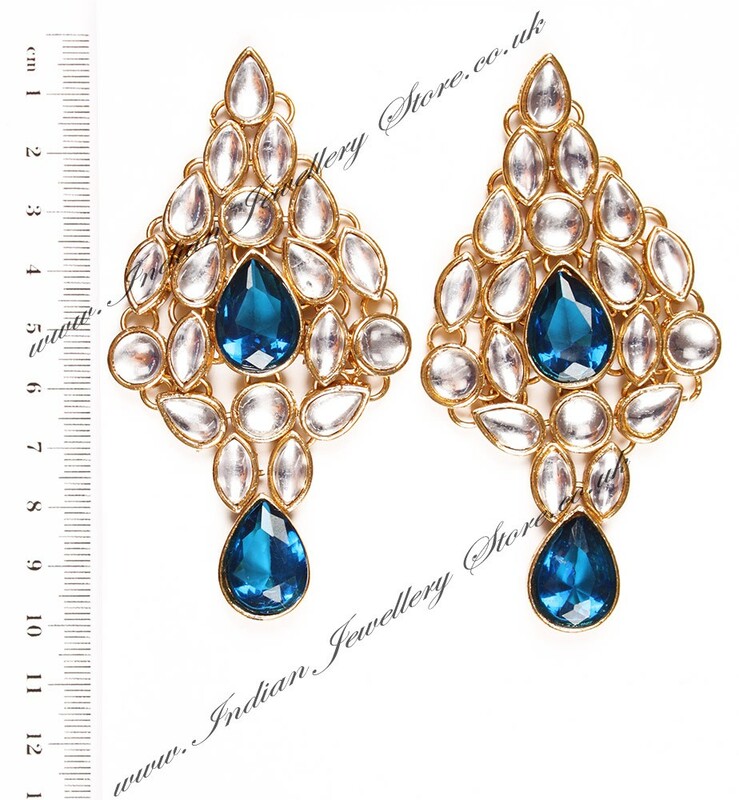 Set with kundan chip stones. Other colours available - enter the design NAME only (eg Jaina) in the Search box, to see all colours. Scale shown in image is in cm.